Will their instruments catch fire? 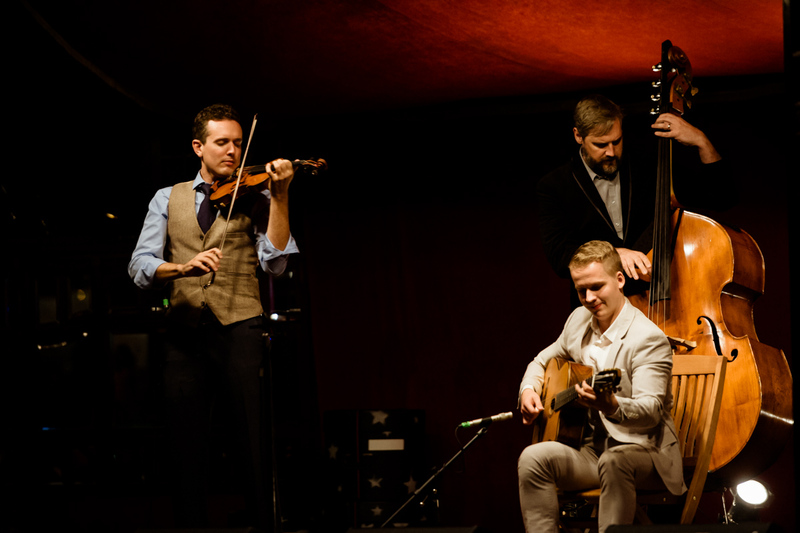 This gypsy jazz double bill features blistering technical facility of new and returning gypsy jazz musicians. In the first set, brilliant jazz violinist Jason Anick and accordionist Julien Labro employ scintillating technique and creativity in an homage to all-time great violinist Stephane Grappelli. The second set is a gypsy jazz battle as two of the best guitarists on the planet, Olli Soikkeli and Vinny Raniolo, as they square off in a dazzling display of virtuosity. "Olli Soikkeli, a riveting Finnish guitarist who combines astonishing dexterity and speed with pure soul in a way that places him among the worthiest current day successors to the legacy of the great Django." "Jason's compositional voice is as distinctive as his virtuoso playing." This is a chance to see incredible virtuosity and artistry on display in one of the world’s most unique venues, the Mirror Palace. Who are the performers, Jason Anick, Olli Soikkeli, and Vinny Raniolo?